This video on Youtube gives everyone a perfect example and a reminder about how an illegal street race could end in disaster in just a matter of seconds if you don’t have enough driving experience and safety tools. In this video, you can watch a group of young racers gather on a street which looks to be deserted and although the video does not mention the exact location but this could have been any street across the US. 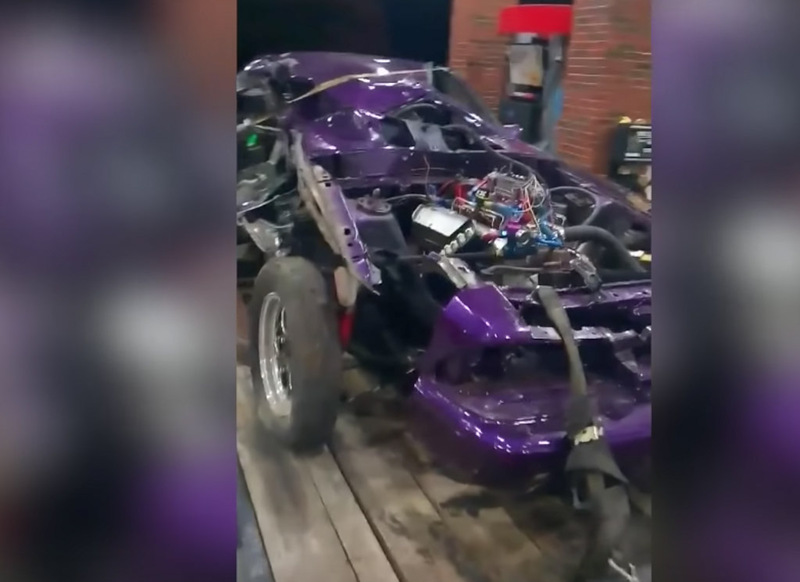 The Mustang that you are watching in this video racing with another car looks like a garage build project and does not get any protection like roll cage or airbags fitted in it. Then there is the driver who does not wear any racing gears or a helmet while he was racing this massive beast. We seriously have no idea how much power this car generated but it was based on the Fox-body Mustang which already has a bad reputation for not being the most structurally sound model. We can see both the cars line up at the starting point and as soon as the race begins you can clearly notice that the Mustang picked up speed and lost traction. As soon as the car loses traction the driver lost control of his Mustang and it ends up hitting a telephone pole on the side of the road. After the car hit the pole hard it was actually ripped in half. At this moment when we all thought that the driver was dead, you can notice the person walking away obviously with the help of someone from his totalled car. The video later confirmed that the driver miraculously escaped from the accident and has suffered a broken jaw, missing teeth, and a broken shoulder. Unfortunately, the car has been shredded to pieces. We hope that this horrific experience gives him a strict lesson and puts an end to his illegal street racing career once and for all.